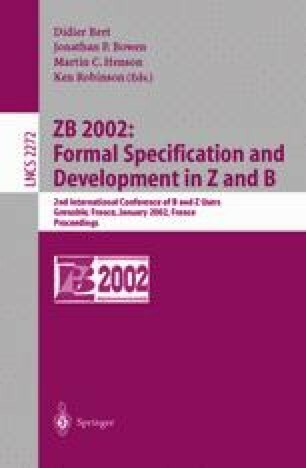 The aim of this paper is to discuss what formal support can be given to the process of living with inconsistencies in Z, rather than eradicating them. Logicians have developed a range of logics to continue to reason in the presence of inconsistencies. We present one representative of such paraconsistent logics, namely Hunter’s quasi-classical logic, and apply it to the analysis of inconsistent Zsc hemas. In the presence of inconsistency quasi-classical logic allows us to derive less, but more “useful”, information. Consequently, inconsistent Z specifications can be analysed in more depth than at present. Part of the analysis of a Zoperation is the calculation of the precondition. However, in the presence of an inconsistency, information about the intended application of the operation may be lost. It is our aim to regain this information. We introduce a new classification of precondition areas, based on the notions of definedness, overdefinedness and undefinedness. We then discuss two options to determine these areas both of which are based on restrictions of classical reasoning. Woodcock, J. and Davies, J. (1996). Using Z-Specification, Refinement, and Proof. Prentice Hall International Series in Computer Science. Prentice Hall Europe. Online: http://softeng.comlab.ox.ac.uk/usingz/ (last access 18/10/2001).